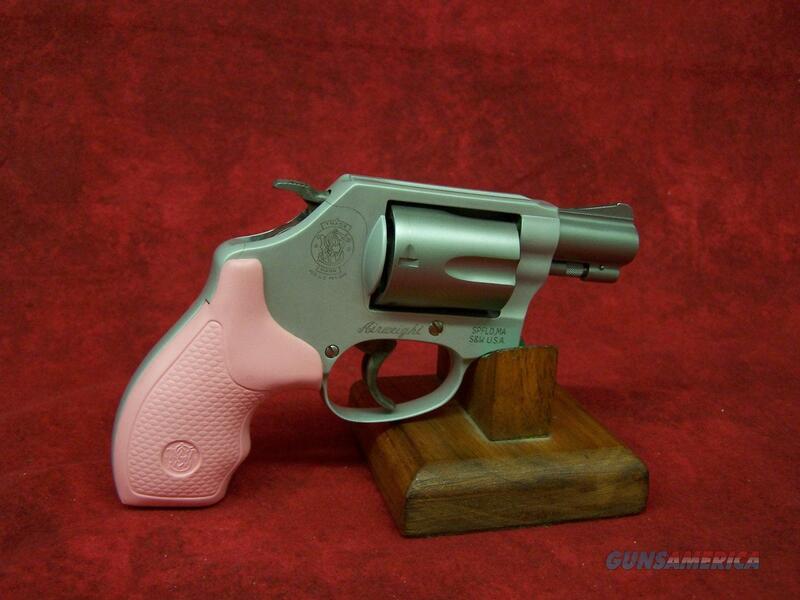 Smith & Wesson Model 637 .38 Special +P 1.875 Inch Barrel Stainless Steel Matte Finish Pink Grip 5 Round Model 637 Chiefs Special Airweight Single action/double action. J-Small frame. Exposed hammer. Five round capacity. Integral front sight. Fixed rear sight. Synthetic grips. Aluminum alloy/stainless steel cylinder. Satin finish.